News from LMCU: LMCU Named BEST Financial Institution In Michigan! 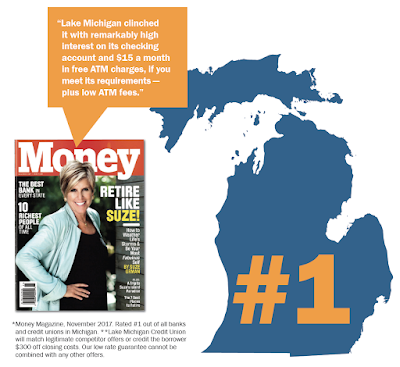 LMCU Named BEST Financial Institution In Michigan! Highly respected Money Magazine* just named their picks for Best Bank/Credit Union in every state. LMCU was recognized as Michigan’s best! You probably have your own reasons – guaranteed low mortgage rates** , 3% Max Checking, or simply that we always do what’s right for our members. We work hard to earn your trust and it’s gratifying to be recognized nationally. Whatever your reason, we’re glad you’re with us!